Can’t I just get drunk and dance (or should I really find out what Australia Day is actually about)? And so I became determined to find out what Australia Day was really about. If I’m going to pause my travels for a little while to be here, to explore this place, I definitely want to have some idea of what’s going on (and why). Dubbed by some as Invasion Day, Wikipedia gives a bit more insight into the event: Celebrated annually on 26 January, the date commemorates the arrival of the First Fleet at Sydney Cove, New South Wales in 1788 and the proclamation at that time of British sovereignty over the eastern seaboard of Australia. 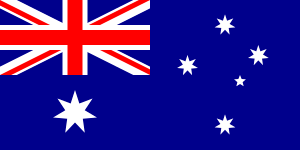 There are efforts being made to be more inclusive and redress the situation (as much as is possible), for example The Australia Day National Network states that ‘On Australia Day we recognise the unique status of the Aboriginal and Torres Strait Islander peoples. The National Australia Day Council (NADC) is committed to playing a part in the journey of Reconciliation by helping all Australians to move forward with a better understanding of our shared past, and importantly how this affects the lives of Aboriginal and Torres Strait Islander peoples today and how we might build a better future together’. 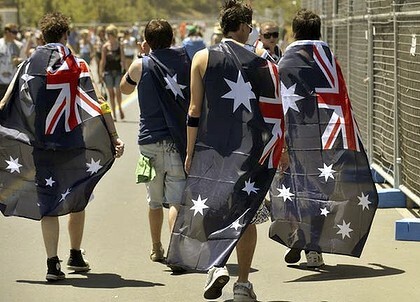 I later read a little more into modern views of Australia Day and came across a good few grumbles about the Australian flag that with prominent inclusion of the Union Jack is not deemed to be sufficiently Australian. It made me think: is the wish to have a separated, unique identity so unreasonable? On the alcohol side of things, there definitely is some truth. ‘It’s about barbecuing with friends, and drinking until you can’t stand up’, said Sam, a Melbourne based guy in his mid-thirties. ‘We usually go for a surf, then head back for a barbie and beers’, said another friend up in North New South Wales. It would seem that for many Australians, the way to celebrate this day is by spending time with friends and family, barbecuing, beaching and drinking. It is, after all, suggested as being the ‘largest annual public event in the nation’, so why not get together? It also seems that for many, many people, Australia Day is about Hottest 100 parties, The Sydney Morning Herald claiming that the countdown event ran by Triple J (a popular ad-free and government-owned station) ‘brings us together’ whilst Triple J themselves talked up the day weeks in advance, generating hype and giving shout outs to registered parties around the country. On my way back from a trip out into Byron Bay I stopped at the off-license (or bottle-O, if we want to keep things Australian), expecting to find myself in amongst a last-minute booze scramble. But the only hint at Australia Day was the seller’s insistence that I buy the organic Australian vodka over an imported brand, and maybe the guy who was slurring and paying up wearing only a pair of tightie boxer shorts was my second sign? My first bogan sighting? Quite possibly. And then I drove on through oncoming storms, home to a veranda of bodies huddled out of the reach of driving rains, to a barbecue sheltered by parasols, to music blasting from the radio, to eskies crammed with ice and beers, to over 30cm of rain in one hour (noted when we were still level-headed enough to check). The beach party, I guessed, wouldn’t be happening. Maybe next year. So what are we celebrating again? Oh yeah. Independence. No, invasion. No, the British landings. Ah, it’s getting a bit fuzzy. Now, where is my drink?